When the first official clothing order arrived through the new 261 Fearless online shop, Heather Pierce,261 Fearless Shop Manager, was ecstatic since the order was from a woman in Chile. “I was amazed at the global reach of the 261 Fearless organization simply through this one international purchase, “stated Pierce who is based in America’s Midwest region. Following the South American purchase, orders from New Zealand, Canada and Europe were received as if to showcase what the organization leaders already knew, that 261 Fearless is an international social running network for women. “Why do you think women love wearing 261 Fearless gear so much?” I asked Heather. 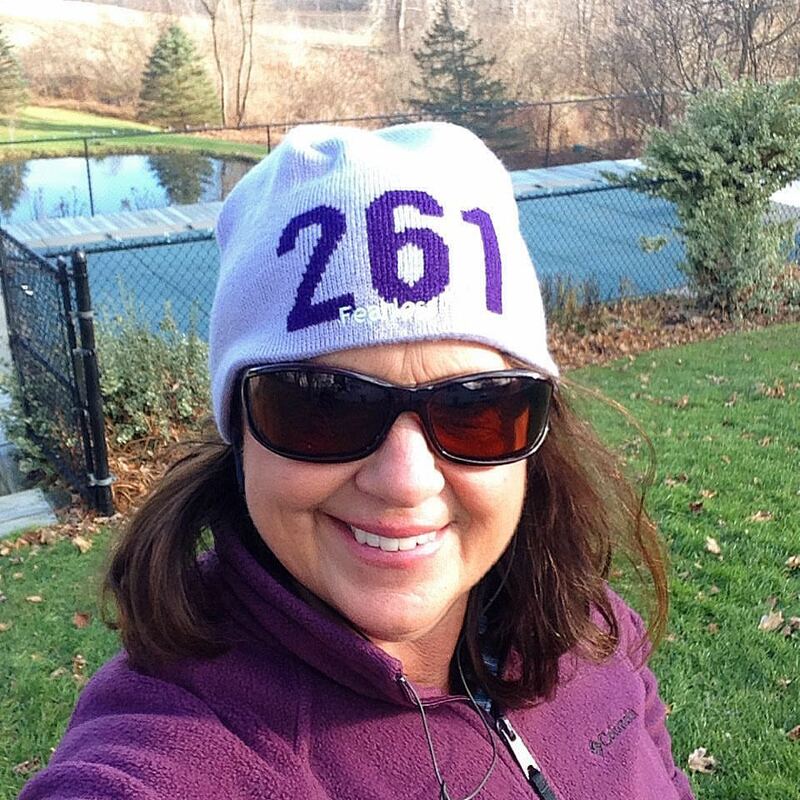 She responded, “I think it is because of the natural connection and instant bond people have to the number 261 based on its origin with Kathrine Switzer in the 1967 Boston Marathon.” I know what Heather means because every time I don a 261 Fearless hat, jacket or t-shirt, people look at me knowingly as if to say, “You must be associated with fearlessness.” They are right, I am! 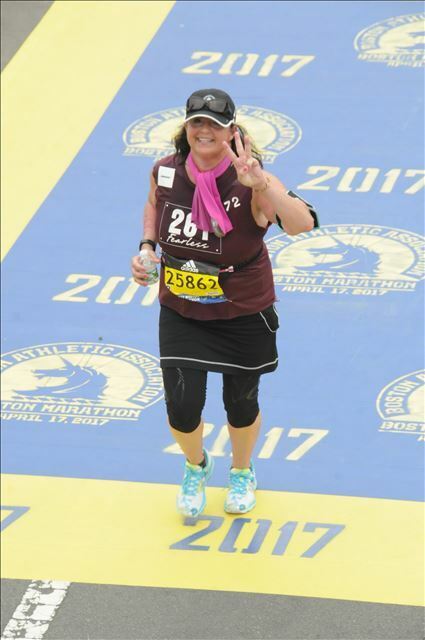 I had to be fearless in the face of running 26.2 miles on April 17, 2017 in the historic Boston Marathon. I wanted to be there to witness Kathrine’s 50th Anniversary of her gender barrier breaking moment. She had to be fearless in the race when the race director wanted to push her out because she was a woman. She was fearless 50 years afterwards making sure women had the same opportunity as men to run. Having only run 13 miles – a half marathon – a month before my Boston challenge, I needed to be focused and fearless to cross the finish line under 6 hours. I crossed that line in 5 hours 56 minutes and 58 seconds to earn my once in a lifetime Boston Marathon medal while I wore 261 Fearless clothes. People in our society enjoy wearing branded items because it makes them feel like they are part of a tribe. In the 261 Fearless case, a woman becomes a part of a supportive tribe of brave, fearless women who believe in the positive benefits of running with a community of women no matter what their running level, age or status in life. Through 261 Fearless active women come together through a global supportive social running network allowing fearless women to pass strength gained from running onto women who are facing challenges hence sparking a revolution in empowerment. 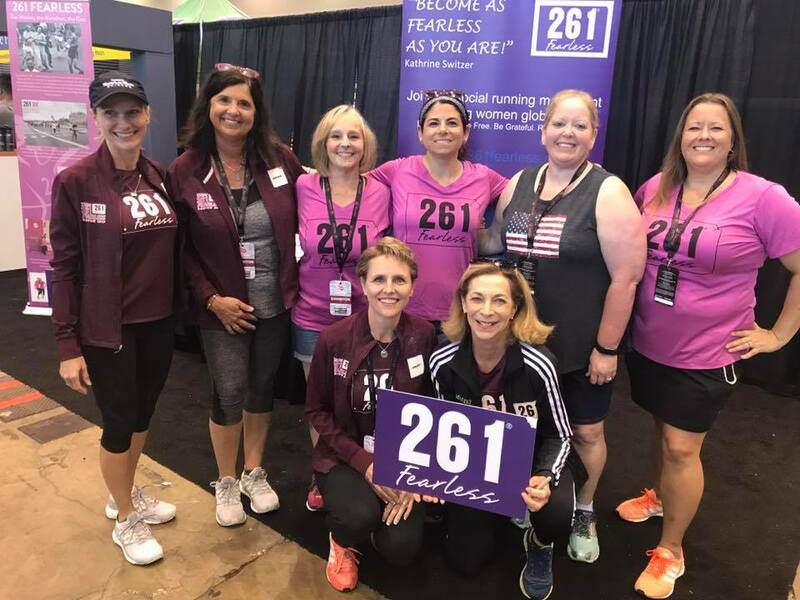 Purchasing and wearing branded 261 Fearless merchandise is just one step towards women sharing the importance of networking, running and bonding with women all over the world. Today why not contemplate starting your own branded line of items that your customers can be proud to wear or purchase. Conduct a survey and see if they are interested in the idea before you venture out. Research different vendors to get the best pricing and delivery. Once you are set, market it on everything you do from social media marketing sites to YouTube to your own website. As Kathrine says, “Be Fearless. Be Free”. Remember offering a retail line might be a cool way to promote your company.